to get its FCC license revoked! . KCPA-94.1 FM was a Dallas-based classical music (and later jazz) station that received its FCC license on July 8, 1960, but only broadcasted from late 1960 to the fall of 1961, and fell victim to financial woes before losing its FCC broadcasting license on February 12, 1962. Owners Charles and Peggy Ames were a young couple in their 20s, and became entrepreneurs soon after their marriage in 1957. Charles had recently graduated from SMU, and Peggy's parents were theater owners. The couple opened the High Fidelity Associates stereo store at 710 Wynnewood Village in August, 1959, to capitalize on the newly-approved stereophonic FM sound. While the FM band had been around since the 1940s, it wasn't until 1958 when the FCC ok'd stereo broadcasting. A second High Fidelity Associates store opened in Preston Center in 1960, and that also became the first home of the Ames' next venture, KCPA-FM (C-P-A: Charles/Peggy Ames.) What better way to sell high-priced stereo equipment than to have your own radio station to demonstrate the sound to customers? "I was one of the first persons hired to put the station on the air," Bob Johnston, former KCPA jock and longtime KIXL and KVIL vet, said. "In 1960, I was a young North Texas State University student working at KGAF-AM/FM in Gainesville. One Sunday afternoon, a couple came to the KGAF studios on 'Radio Hill' outside of town to see the FM transmitter and studio setup. They were Charles and Peggy Ames, who I soon learned were going to put a new FM station on the air in Dallas. The Ameses were interested in investing in similar transmitters for their station. "After I showed them the equipment and chatted a while, I inquired about a job (since getting into the Dallas market was everyone's goal in those days.) They asked me to send an audition tape, which I did, patterning the music and sound after KIXL's good music sound, and my announcing after Hugh Lampman's style on KIXL's 'Music Till Dawn.' Shortly thereafter, Charles called and offered me a job at the soon-to-be-born station, which I immediately accepted. I also suggested a couple of friends to him as well: Mel Cummings, from NTSU and working then at KDNT, and Frank Haley, also from NTSU. All of us were hired. "When we reported to work, the studios in the Preston Center stereo store were still under construction, and we seemed to be the only ones who understood where the equipment should go in the very, very small closet-sized control room in the rear of the store. It looked out into a larger studio, which was shared with Boyd Recording. 'Juicy' Boyd, who ran that business, knew more about the industry than anyone. Boyd also served as KCPA's engineer." Frank Haley, longtime Dallas radio vet and host of KCPA's "Concert Hall," honed his radio skills at Denton's KDNT before coming to KCPA: "I learned about a new FM station going on in Dallas. I was the first announcer on the air there. They programmed full classical music. (Ames) hired a member of the Dallas Symphony Orchestra; he made up the playlist and would call every morning between 5 and 6AM, and would go over the names and help me with the pronunciations." Johnston continued: "We soon learned that the Ameses had no clue about how to run a radio station. There were no plans for a music library, continuity, news or production facilities--only a studio and transmitter. Mel, Frank and I brought our own records to play when we first went on the air. It was interesting to be the 'experts' at putting a station on the air with only a year of experience each in our prior radio jobs." "The owners seemed to think that, if we could just get the station on the air, the money would pour in," Bob Johnston continued. "Little did they understand the financial practicalities of FM radio in those days. We finally got it on the air late in 1960, after a couple of delays from the studio not being ready, and things seemed to be going well...until a few months elapsed and our paychecks started to bounce. Frank Haley left quickly and, after I started getting calls from grocery stores where I had cashed my checks, I decided to look around (for other employment) as well. I also had a new wife, so I decided to move on. Frank Haley told me of a lead at KVIL, and suggested I go over there. I got hired immediately and bid farewell to KCPA and hard, seven-day-per-week work for no pay!" By 1961, the Ames' other venture was failing. The Wynnewood Village stereo store location was closed, and, soon thereafter, the staff was locked out of the Preston Center building for non-payment of rent (Johnston recalled that the Ames' did lots of tradeoffs with the landlord, exchanging free radio spots for rent.) But another source of income did thrive: KCPA used their 41 and 67 kHz sub-carrier frequencies (SCA) to provide 'storecasting' to Tom Thumb Supermarkets after 8/5/1960, and was the first FM station in the area to do so. Frank Haley picks up the story from there: "Ames was a real con artist. He had two Hi-Fi store locations. He had borrowed money from a bank to finance the equipment on the floors of the stores. The bank had a floorplan that showed each console unit Ames had borrowed to stock the stores with. Problem was, he had borrowed enough (to stock) one store, but was running two stores! Everytime the bank would show up to make an inspection, someone would rush over to the Oak Cliff store and bring back the Hi Fi consoles (to complete) the (Preston Center) floorplan. One day, the sheriff came and took everything from the Preston Center store because the Ameses were not paying their bills, including the rent. He let me load broadcast equipment and records out the back door while he counted all the merchandise in the front of the store. We then broadcasted directly from the transmitter site at Chalk Hill for several weeks, running tapes and using a Wollensak microphone through a recorder to do live ID's." But the Ameses were not ready to throw in the towel on KCPA just yet. They traded commercial time for a studio at the Turtle Creek Gardens apartments at 2525 Turtle Creek Blvd in mid-1961, and relocated the operation there from the transmitter site. "It was my first radio job," radio vet Bob Fox said. "(When I started,) the station was located at the Turtle Creek Gardens. Our only sponsors were tradeoffs, such as a stationery store and other non-paying sponsors. The owners only occasionally dropped by with not much in the way of supervision. I did have a couple of years of speech at North Texas State University prior to that, but I only had two radio-specific courses at a time when the school was just beginning to offer them (KNTU was only a dream at the time.) The Ameses, I believe, didn't want to be around much, I think, because they were regularly getting calls from various entities whom they owed. During the last few days, I became aware that all the LPs (albums, that is) we were using on-air were borrowed. The LP's owners soon came to get them, so we had to use our own. Hey, all of a sudden, it was a DJ's dream for me, an avid jazz freak! My intentions for radio were to ultimately be a jazz DJ, a really unreal goal for 1961 in Dallas, Texas. I brought my Shorty Rogers, Lennie Tristano, Gunther Schuller, Miles Davis and Stan Getz records, recordings previously heard only on KGKO-AM (1950s predecessor to KBOX at 1480 AM.)" Former KCPA jock John Lemburg said, "I lent the station many of my LPs so we could have music to play during the last two weeks...I lent Bob Fox the LP by Kostelanetz, 'Tender is the Night.'" Lemburg worked the 6PM to 12AM shift; his show was called "Moonglow," although he opened it nightly with the Ray Conniff song, "Easy to Love." "When I was not on the air," Lemburg continued, "I was helping Bob Fox with station engineer work. Our transmitter was a 1 kW Gates with what I recall were 12 rings on the tower, for a total ERP of about 10kW. We shared the same tower with the new KVIL-AM. KVIL would sometimes run tests, and doing so would knock little KCPA off the air, resulting in a ride out to the tower site. Fun times!" Bob Fox continued: "We had no production facility at KCPA...just one board, two turntables and a vacuum tube-powered Neumann microphone (which one of the DJs, Mike Stoddard, took in lieu of wages after six months of work with no pay!) It was something like a $600 mike, expensive for those days." Mike's widow, Mary Stoddard, recently wrote that, "You may be interested to know I still have that Neumann microphone. That mic was something (Mike) treasured and kept in good operating condition." Fox: "There were only three DJs that manned the station from 6AM to midnight (Bob Brown was another; not the same person as the former WFAA reporter.) I think we worked seven days a week. I was told by one of the other DJs before being hired that I shouldn't expect to get paid. I didn't mind because it was radio experience for me." Another employee who saw the demise of KCPA happen was Barry Silverman: "I worked for KCPA two or three weeks before they went off the air. I answered an ad in the paper. The station had no format (at that point)...there were a bunch of albums sitting around, and I played whatever I wanted to. I rarely saw anyone else." But a bright future was supposedly around the corner: "The word was the station was being sold and things were going to get better." Silverman believed it. He tried to talk his parents into letting him drop out of UT, attend nearby North Texas State instead, and become a superstar on KCPA. They didn't go for it! And it was just as well. Bob Fox continued: "An investment company (Republic Standard Investment Co, headed by Byron Sacknoff and his sister, Sheila) took over the station from the Ameses about a week before its demise, then blew it off after that week due to unforeseen expenses, unexpected debts and other problems. They were in the Republic Bank building downtown. That's where I went to pick up that week's pay, which they determined to be $24. They were unassociated with the station the last couple of days it was on the air, and the Ameses, of course, never paid me a cent." Silverman continued: "One day, some guy came in and asked me when my next break was. He said, 'Go ahead and shut her down,' and I did. Then they actually started hauling furniture out." Fox: "I worked the last shift until midnight, actually having done the morning shift as well for a total of 12 hours (I had traded my noon-to-six shift with the other DJs for the day.) I didn't realize that it would be the last shift. Fortunately, I had been warned that the station may close, so I took my albums home with me every time so I'd know they were safe! The key to the door, which was kept on top of the door frame, was apparently taken by the apartment managers the next day because of back rent." Haley continued: "I left with several bounced paychecks and a few LPs and tapes for payment." Silverman reported getting a few dollars when he went downtown to collect from Republic. KCPA had its license revoked by the FCC on February 12, 1962, but the station had already been dark for several months. The FCC deleted KCPA's license from its records on June 27, 1962. KCPA has the unenviable distinction of being the first FM station in Texas to ever have its license revoked, the second FM station in the US to be revoked, the only commercial FM station ever in Dallas-Fort Worth to lose its license, and one of a very small handful in the nation to be handed the ultimate sign-off. BOB FOX's love of jazz music led to an 18-year disc jockey stint at non-commercial radio station KVLU in Beaumont, Texas. He relocated to San Diego in the early 1990s. BOB JOHNSTON spent many years with the Dallas Independent School District after working for KVIL and KIXL. He has been employed with Dallas County government since 2000. 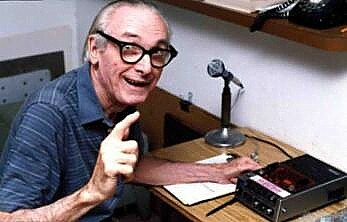 FRANK HALEY spent several years as a radio newscaster and director in Albuquerque, NM, where he still resides today. Frank has a long history in the Dallas market at KLIF and other stations. MIKE STODDARD left KCPA and joined the military. He died of brain cancer in January, 1985. His wife, Mary, shared the following: "I met Mike in June of 1965 when I was KVIL's 'Girl Named Sam' on the midnight-to-dawn shift. He had just gotten out of the Army, where he was stationed in Okinawa, Japan for a year. Mike was hired by program director Dillard Carerra as KVIL's morning man. It was love at first sight, and we were married November 14, 1965. We had our first child the following year, and another two years later. Although Mike left KVIL to accept a promising job in the apparel business, his heart never really left radio. We were on the board of Dallas' first public radio station (KCHU,) and he did some fill-in work at KVIL when one of the DJs was out." JOHN LEMBURG is now the principal engineer at Innovation Connection Corporation in Richardson. BARRY SILVERMAN continued working in radio, including stints at KLVI-Beaumont, KUT and KNOW in Austin, WUBE-Cincinnati, CKLW in Detroit and WIBG-Philadelphia. After that, he spent 12 years as program director of WABB in Mobile, AL, then went into private business as owner of Soundworks Studios in Mobile, where he continues today. MARION E. "JUICY" BOYD survived the demise of KCPA and continued operating his own recording studio until the early 1970s. Boyd was also an avid amateur photographer, logging thousands of photographs in and around Dallas over a 48-year period. Boyd grew up in Oak Cliff and stayed in the Dallas area until he was no longer able to care for himself. He died May 7, 1997, at the age of 79. 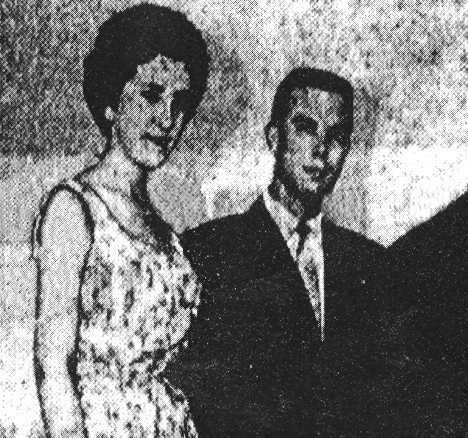 CHARLES AMES moved to Houston with wife Peggy after the fall of KCPA in 1961, but Charles is apparently back in the Dallas area, as he was contacted in recent years by former jock John Lemburg. Thanks to Bob Johnston, Frank Haley, John Lemburg and Barry Silverman for sharing their experiences at KCPA! And a special thanks to Bob Fox, who suggested this feature on KCPA and provided the stories and names that got it all started.